YANGON – Rescue crews in boats negotiated muddy waters on Thursday to reach thousands of people in central Myanmar after overflowing a dam, sending a stream of water over farmland and villages. 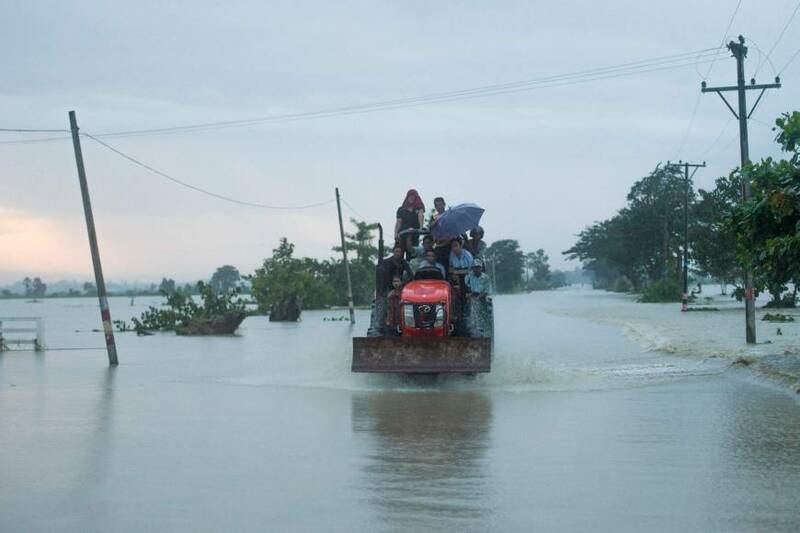 The state media said more than 63,000 people in the Bago region were affected after the Swar Chaung dam overflowed early Wednesday morning. Losses were previously unknown. The drain of the dam, which controls the release of more than 20,000 cubic meters of water in Swar Chaungs Dam, was disrupted by seasonal rainfall. It is the second major flood that has seen thousands of victims missing due to damage to a dam in the weeks in the region after at least 35 people have been killed, and thousands displaced by a collapsed hydroelectric plant in neighboring Laos. AFP reporters in Bago province saw soldiers with orange life jackets deployed to rescue the stranded, steering tin boats to waiting villagers crowding in the mud flats. Lorries were encamped in murky waters, while roads had wriggled under the weight of the waters that flowed through the villages. Wai Lin Aung, 27, said that there was no warning from the authorities about what to do after the dam overflowed. "Nobody told us what we need to do, we just monitored the water levels and as si The situation got worse, we just ran," he said, adding that he stayed in a monastery overnight. "How can I feel good when my house is destroyed? I have nowhere to live and nothing to eat." Myanmar experiences a monsoon season that lasts from June to November, but locals in the Yedashe community said that they have never seen such a torrent. "It was like something we could not believe," said Phyu Thi, 35. The heavy weight of the floods also destroyed part of a bridge on the Yangon-Mandalay Highway, the two largest cities in Myanmar and messed up the country's traffic artery. Construction Minister Han Zaw said Thursday that 500 people are working to repair the road, which will take about two days. "(We) try to restore the traffic situation as much as possible, said Han Zaw. 2,600 people have sheltered in about 30 makeshift camps, but many others do not know what to do. "Some of the houses are completely destroyed," he said, explaining that the toilet of his house "For now, I stay (in the monastery) because I can not come back here." The flood comes a few weeks after the heavy monsoon rains in Myanmar, causing widespread flash floods that forced about 150,000 people to flee Houses.